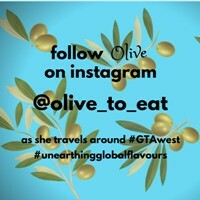 What a lovely morning Olive had on Saturday, visiting Collingwood Farmers’ Market with my Dad, sister, and her adorable grandchildren. I have the sweetest #littlekidhangover that I don't want to get over. Utterly adorable, you two are. Miss you already. flowers, and well-crafted, small batch, gourmet foods. The organic produce from Mansfield Heritage Farm is gorgeous! We will be enjoying radishes and purslane salads all week. I didn’t know that purslane is one of the most nutritious greens and because it is a succulent, it keeps well in your fridge. I haven’t tried it yet but I’ve heard it is delicious: a bit crunchy with notes of lemon. Look at the flavourful, superfood combinations in these heart-healthy salads, from My Little Chickpea Gourmet. 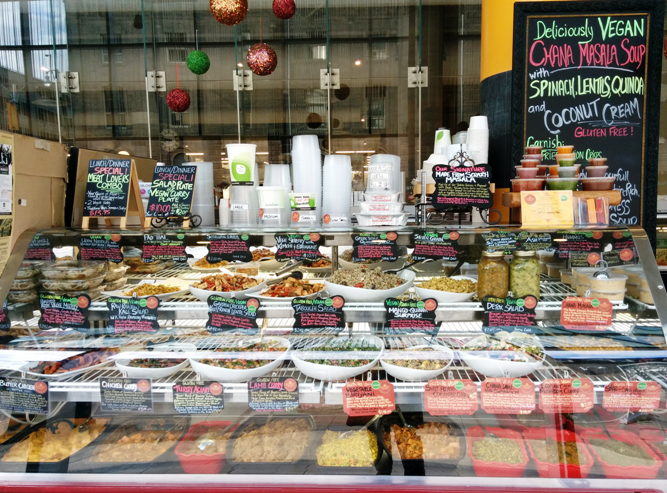 If you can’t make it to Collingwood, My Little Chickpea products (hummus, falafels, salads, and dressings made with fresh, nutrient-dense ingredients) are available in many fine stores across Ontario (click here to find one). I swear they ate the whole thing themselves without any sacrifices like “Oh honey, it might be really hot. Let me try if first so you don’t burn yourself”. Cabin Bistro, you sure make good corn dogs. 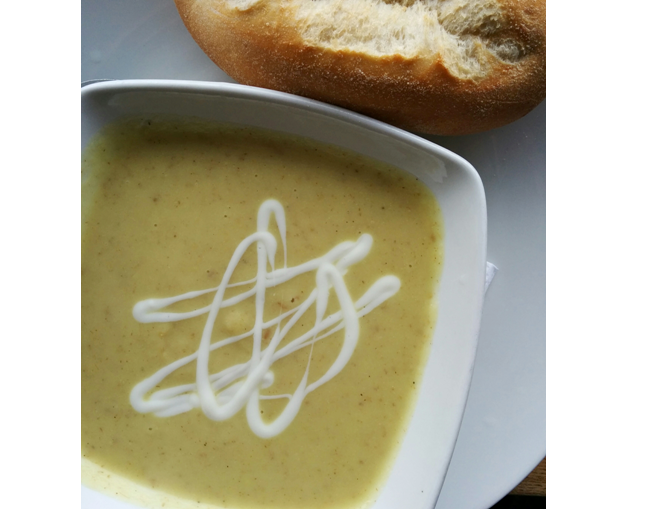 Who doesn’t love dipping a chunk of freshly baked, artisanal bread into a steaming bowl of homemade soup on a crisp fall day? What a great menu from SoupHerb Soup. Darn, I wish I had brought my cooler. Ooh, la la! My hubby’s favourite childhood treat, freshly baked pain au chocolat: buttery, flaky pastry hand-rolled around a big chunk of fine dark chocolate. 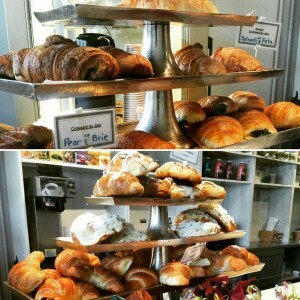 You can find French-trained Executive Chef Patrick Bourachot’s delicious hand-rolled croissants (including butter and almond) at the market and a wide variety of his gourmet frozen foods on his website: Chef Patrick’s Gourmet Foods. But the star of the market has to be Oliver. Be sure to visit his old-fashioned lemonade stand for a pucker-up-perfect glass of lemonade. This charming entrepreneur is raising money for The Hospital for Sick Children. Thank you, Oliver; you are a Sick Kids hero! Summer may be over but our farmers’ markets are still going strong. Not for long though, most finish up in early October. Sneaking in a little instapost about a lovely evening I had last night with a friend at Spirit Tree Estate Cidery, in Caledon. I didn’t plan on doing a post and only took two instagram photos but the food was so good, I have to share. Friday and Saturday nights (between 4pm and 8pm) are pizza nights at Spirit Tree. Laura and I made plans late last fall to go to Spirit Tree on the first warm Friday evening in spring for their hand-tossed, wood-fired pizza. A drive out in the country and exquisite pizza shared with a friend was the perfect way to celebrate warm spring weather. If you haven’t heard the buzz – or didn’t believe it – Steel City has transformed into a cool place to hang out. 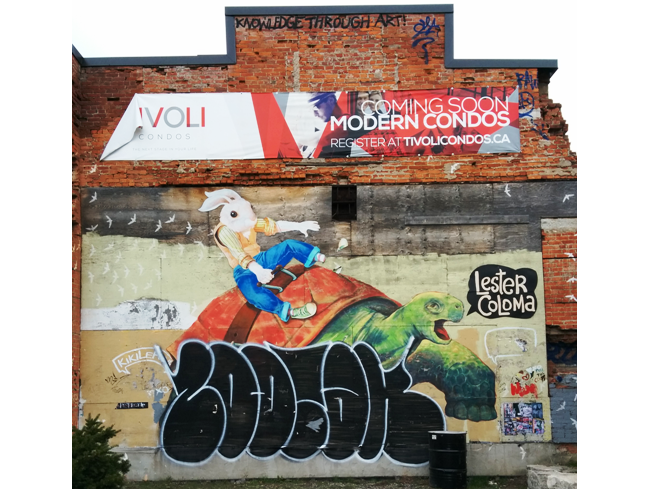 James Street North is a vibrant, culturally diverse mix of food, art, and unique retail that ranges from old-fashioned to modern, in such a hip way (that’s my inner urban geographer speaking). 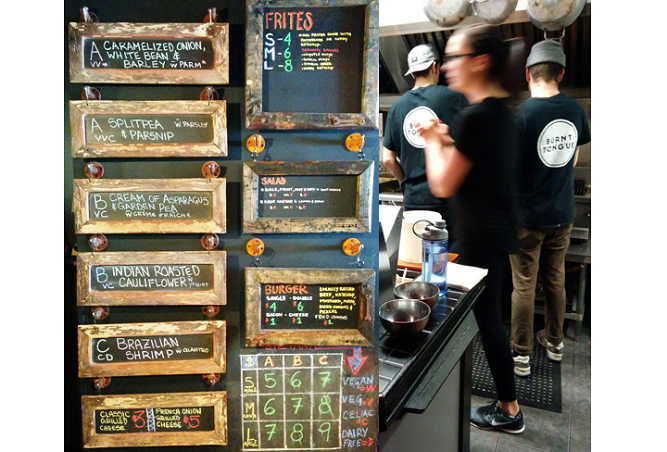 My inner foodie says that Hamilton is the grassroots of where young chefs hone their skills with their own set of rules; so refreshing and impressive. Remember, this is the city that put the wheels in motion for the local gourmet food truck trend. 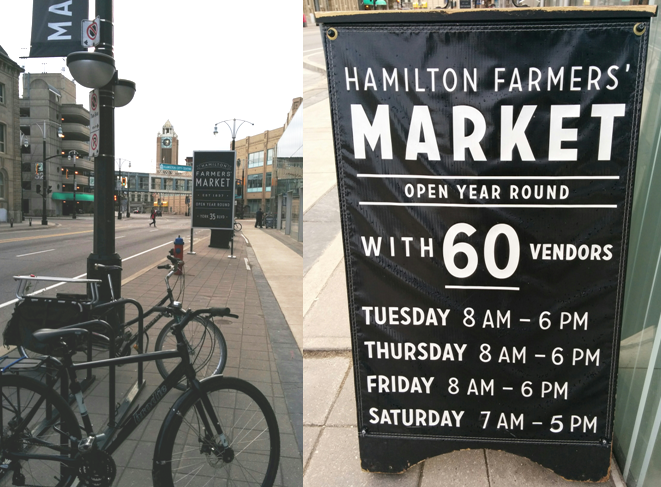 Start off at the Hamilton Farmers’ Market (inside Jackson Square, corner of James Street and York Boulevard). There’s plenty of cheap parking right across the street. 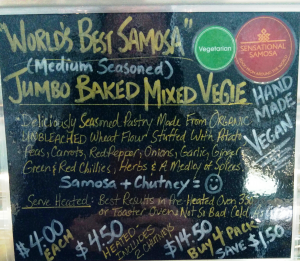 Sensational Samosa offers an impressive variety of international foods: savoury and sweet finger foods, curries, chutneys, salads, and soups. I started my morning off with a healthy bowl of protein-packed Persian Ash soup: chickpeas, kidney beans, black beans, yellow split peas, pearl barley, dill, parsley, cilantro, onions, garlic, and turmeric. Garnished with yogurt and crispy fried onions. 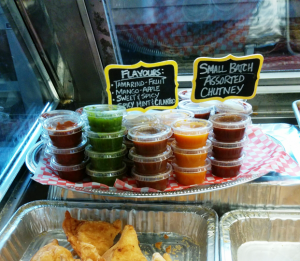 On a recommendation from a local, I brought home the World’s Best Samosas, mint-cilantro chutney, and mango chutney; what a nice treat after driving home in the snowstorm. 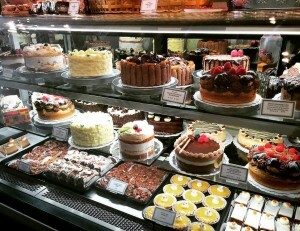 Health-conscious, vegan, and gluten-free options available. 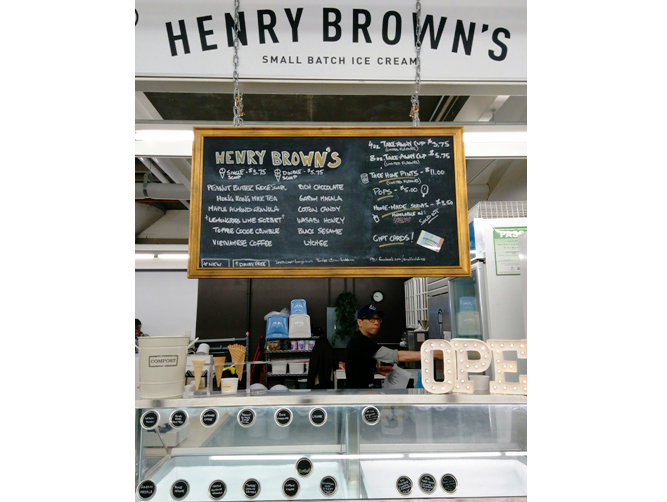 I met the lovely Ed Wong of Henry Brown’s Small Batch Ice Cream. He and his partner have been at the market since last July, having fun playing around with flavour combinations. Flavours range from bold (Black Sesame and Curried Carrot) to childhood favourites (Toasted Marshmallow and Peppermint Candy Cane) and oh so many tempting ones in between. Move over green tea ice cream, Hong Kong Milk Tea is my new favourite: I love how the tea balances the sweet creamy bliss. 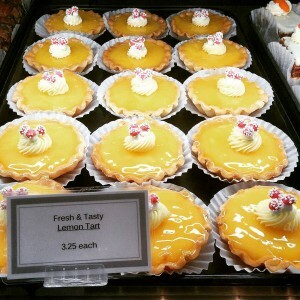 Prepared on-site in small batches, fresh every market day, additives not required. Flavours rotate. Plan to come back for an afternoon scoop or bring your cooler to take a tub home. But be sure to ask for a taste in the morning because your favourite flavour may be sold out later. Next time, I’ll try a poké bowl at the Pokeh Bar (Canada’s first poké bar). When I returned to the market for an ice cream, the mid-afternoon crowd was a clear indication that these healthy, Hawaiian-influenced raw fish bowls have quickly gained popularity with the locals. Like sushi in a bowl: choose from fresh ahi tuna, salmon, or shiitake/tofu on cucumber noodles or rice, with Asian sauces, and over 20 healthy toppings. After the market, walk one block east on York to James Street, turn left and head up James Street North. 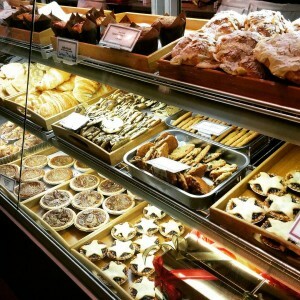 If the stores aren’t open (some not until noon), grab a coffee at Mulberry Coffee House. Or walk up to Murray Street to Chris’ Store Fixtures, a kitchenware and restaurant supply store where I rubbed elbows with Hamilton’s hot young chefs. 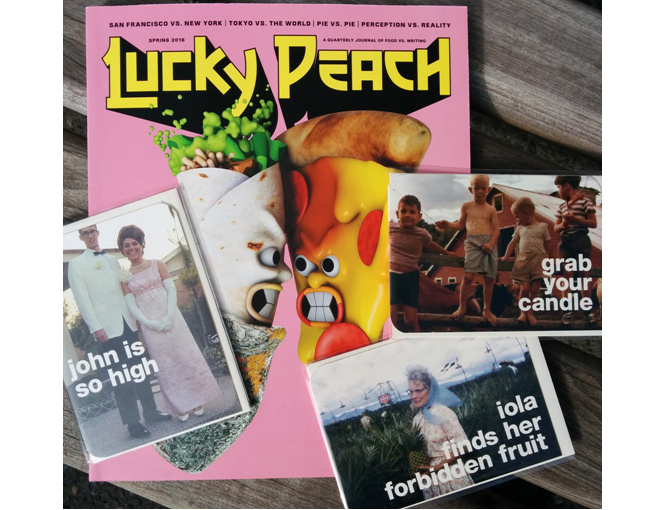 At Mixed Media, I lusted over the art supplies, laughed my guts out at the cards and scored the hard-to-find, cult-favourite foodie magazine, Lucky Peach. 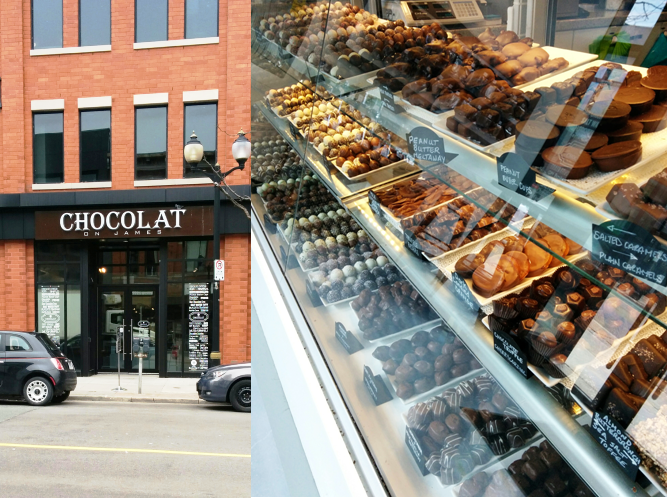 Satisfy your morning chocolate fix with a wee sample at Chocolat on James; you won’t come out empty-handed. 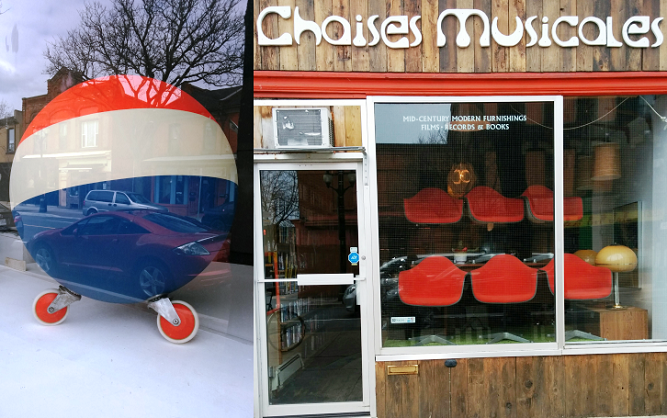 or in the window of a gallery (you me gallery) or vintage shop (Chaises Musicales). Check out the AGH Design Annex: an extension of the Art Gallery of Hamilton that shows experimental exhibitions, stages intimate performances, and houses a home and office design store. There are two really good vintage clothing shops on this strip. 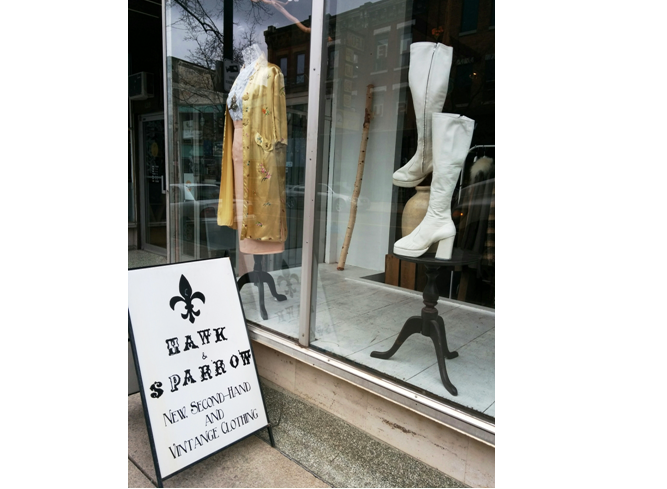 Hawk & Sparrow is a gorgeous, well-curated, upscale vintage, pre-loved, and new clothing store that also sells on etsy. Olive is in love all over again with these boots. 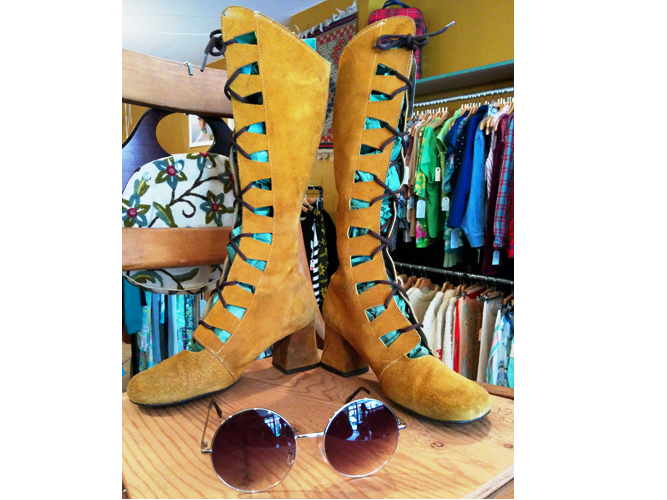 And with these boots from Newold’s Vintage, just up the street; a great shop with lots of inexpensive gems. 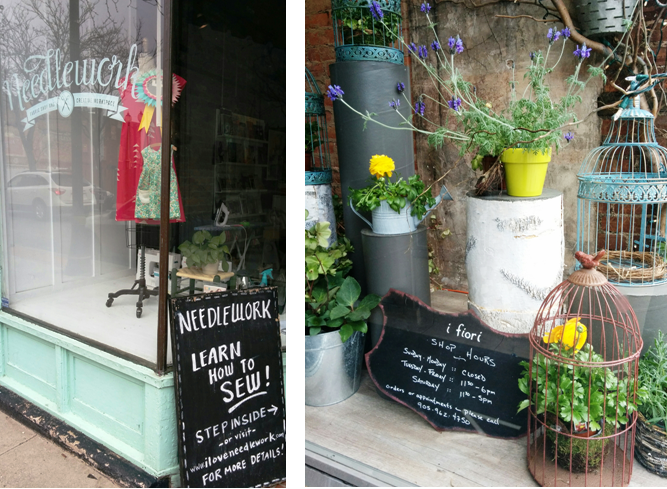 I am so tempted to return to this charming little shop to learn how to sew (Needlework). And isn’t this a pretty window (i fiori)? 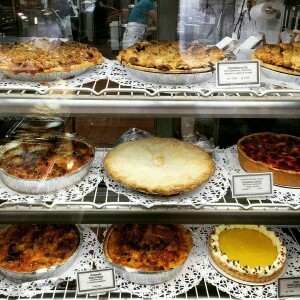 When your stomach starts to growl, you’ll find Vietnamese, Korean, Thai, Portuguese, Indian, and Italian restaurants along this strip, interspersed with restaurants such as Saint James Espresso Bar & Eatery, Saltlick Smokehouse, Mesa, Lake Road, Jack & Lois, Charred, and The Green Smoothie Bar. I ended my morning on James Street North at a recommendation from a friend. Thank you, Casey, The Burnt Tongue (10 Cannon Street East/corner of James) lived up to its reputation. The staff is super friendly, the atmosphere energetic, and the rotating daily menu so creative. 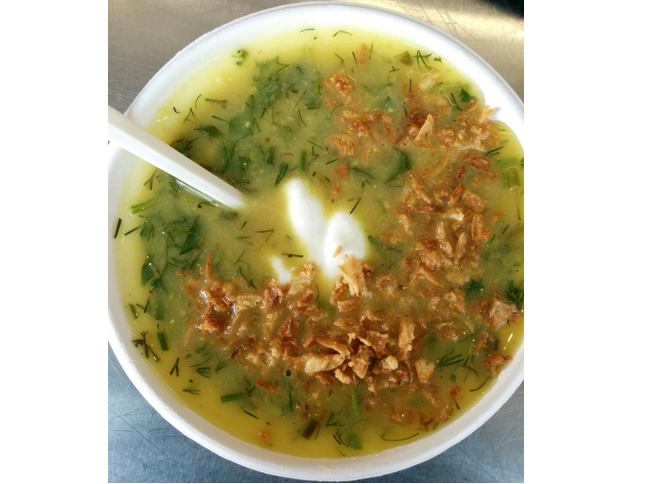 The soup is well worth the reasonable wait for a table. Indian Roasted Cauliflower for me: velvety smooth with fragrant cumin notes and yogurt drizzle. That’s my kind of comfort food. Although the locally-raised beef hamburger, frites, and curry ketchup served to the people beside me looked amazing. Sandwiches and salads, too. Dang, I forgot to try the long-craved-for Rudy’s Paletas. Order at the counter, served at the table. 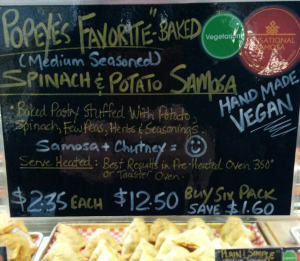 Vegetarian, vegan, celiac-friendly, and dairy-free options available. There is only so much food one belly can hold and my timing that day didn’t allow me to venture further. I’ll be back; there is more to see and taste in the hip Hammer. The say the way to a man’s heart is through his stomach but I’m not entirely certain of that. My husband comes from a family of great cooks. He, himself, survived a year of chef school. So I was downright nervous the first time I cooked for him, in that tiny kitchen of my upper duplex apartment in Little Burgundy, Montreal. My friend assured me her ‘foolproof’ recipe for chicken would cast him under my spell with the first bite (that Best of Bridge recipe with mustard, curry powder, honey, and butter). Would you believe I managed to blow the recipe? It was the worst chicken I have ever made! He ate every bite like a true gentleman and fell in love with me anyways. I’ve created our own healthier version of Curried Mustard Chicken that he now adores. 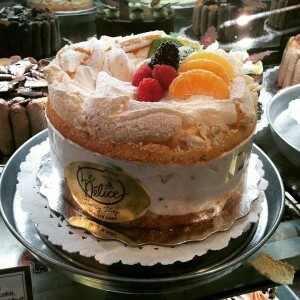 (Honey, this link is for you – a little trip down memory lane or should I say 2222 rue Coursol. I still love that little, white dormer kitchen window). As easy as this recipe is, it is well worth searching out a few special ingredients. Based in Mississauga, Ontario, Arvinda’s makes artisanal, premium Indian spice blends, using Canadian grown spices whenever possible, like mustard seed and coriander. I love Arvinda’s Curry Powder; it is a rich, fragrant blend of spices – so fragrant that I often pop the lid just for a whiff. Definitely my favourite curry powder, outshining any others I have tried to date. Use Arvinda’s Curry Powder and not their Curry Masala for this recipe. 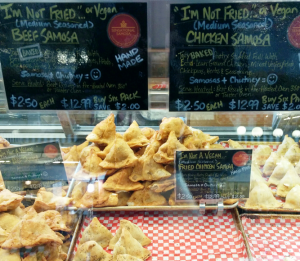 You can find Arvinda’s finely crafted range of Indian spice blends in fine food stores throughout Ontario. Check their website for a store near you. I really don’t like typical grocery store garlic salt. Get yourself a bottle of The Garlic Box Roasted Garlic & Sea Salt and bring your recipes up a notch. Made with roasted Ontario-grown garlic; finely crafted in Hensall, Ontario. Check their website for where to buy. Use whatever chicken you prefer. We eat skinless; my husband prefers thighs, so I cook both thighs and breasts. For a treat, Burton Meats sells a beautiful, restaurant-style Chicken Suprême: a boneless chicken breast with the skin and upper portion of the wing bone attached. Gently force your fingers under the skin to rub a little of the sauce both under and over the skin – the end result will be incredibly moist and flavourful (you can choose to discard the skin after cooking). Check their website for two Mississauga retail locations. Preheat oven to 375F. In a medium bowl, whisk sauce ingredients until thoroughly combined. Arrange chicken in a single, evenly-spaced layer on a parchment-lined, rimmed baking tray. Spread sauce thickly and evenly on all sides of chicken. I like to throw the lemon halves on the baking tray to caramelize while the chicken roasts. 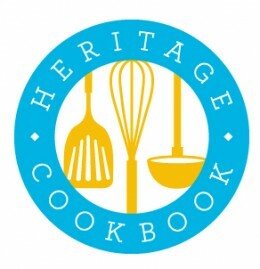 Bake until chicken is thoroughly cooked, about 35 to 40 minutes depending on what cut you use. Using tongs, carefully squeeze the lemon over the chicken (juice will be very hot).